Unspoilt, untamed Koh Kood is home to Thailand's most luxurious island hideaway. Twenty-seven vast villas nestle among palm fringed hills around a secluded bay. King size daybeds swing above golden sand. Stars shine onscreen at the outdoor Cinema Paradiso and in the high tech observatory. 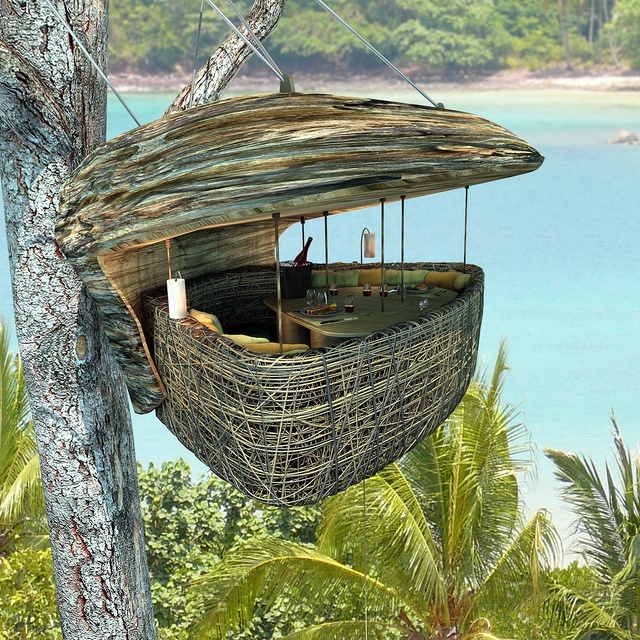 Diners enjoy homemade Thai cuisine as fireflies flicker past or rise to gourmet heights in a treetop Dining Pod. Nothing compares to Soneva Kiri.